May was a busy month! National Office took part in two rallies, the first for Affordable, Quality Childcare on Mother’s Day weekend organized by the Ad-Hoc Coalition for Women’s Equality and Human Rights. Although it was a rainy Saturday, we were joined by CUPE local 2204 ( Child Care Workers,) the local chapter of ACORN Canada, families and Child Care supporters. Member of Parliament, Olivia Chow gave a great speech about her Child Care bill that is before the House of Commons and wished all of the Mothers and Child Care Workers a Happy Mother’s Day! Olivia Chow gives a great speech on Parliament Hill on Child Care. The rally also featured the talent of the women of CUPE 2204 who, with the Raging Grannies, led the protesters in singing satirical Children’s songs written by Claire Tremblay of the Coalition (see one below). 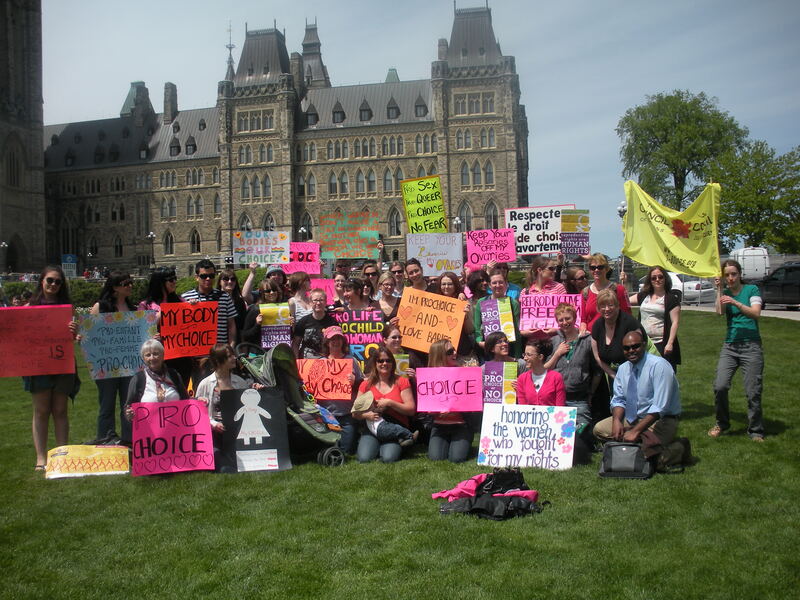 Later in the month National Office attended the pro-choice presence at the annual Anti-Choice Rally on Parliament Hill. While this event was more serious, it was important to show our support for accessible, legal and safe abortion and above all the right for women to choose. Check out photos from the rallies here. This entry was posted in Actions and tagged ACORN Canada, anti-poverty, child care, choice, Olivia Chow, Pro-Choice, Protest, Rally, reproductive rights on June 10, 2010 by cfuwadvocacy.